We mention the Sony Xperia P a few times in this article, for more check out our review of the Sony Xperia P for our reaction to the WhiteMagic screen and more. With a name like “WhiteMagic” and relatively few details announced at launch, you could be forgiven for thinking of Sony’s newest display technology as just another marketing gimmick to throw into the cesspool of meaningless acronyms and trade names. But you would be wrong. Here’s how it works: A normal LCD display has red, green and blue subpixels, which blend in different degrees to make the full spectrum of colors you normally see on a screen. Just as Sharp added another pixel for yellow with its Quattron TVs, Sony has added a fourth pixel for white to the WhiteMagic displays, which can be used to both generate white. White blocks less of the backlight than red, green or blue, so using the white pixel can make the image seem brighter without amping up power to the backlight – which would drain battery more quickly. Since it’s nearly impossible to evaluate Sony’s claim to sun resistance inside a dimly lit convention hall, the Xperia display had a bright spotlight on hands to simulate the sun. It may not have nailed the color temperature – it looked a little too white to us – but it had the intended effect of washing out every phone we threw under it. Except the Xperia P. While it definitely suffers a bit from the overwhelming lighting, text was still easily readable without eyestrain, which couldn’t be said for either the Apple iPhone 4 or HTC Trophy we held beside it. Some of the other phones visitors threw under the lights fared far worse, turning almost midnight black. Although we didn’t have any reference material to see if the screen produced any color distortion as a result of the new pixel, none of the content we loaded on the phone looked out of whack at first glance. It will take a tell a little more hands-on time to tell for sure, but Sony claims the software intelligently monitors the color of screen contents to decide how much of the white pixel to use, and prevent distortion. Since it can make the image on a screen significantly brighter outside without using more power than an ordinary LCD, the MagicWhite LCD can also save power when used indoors because it takes less power to produce the same brightness. 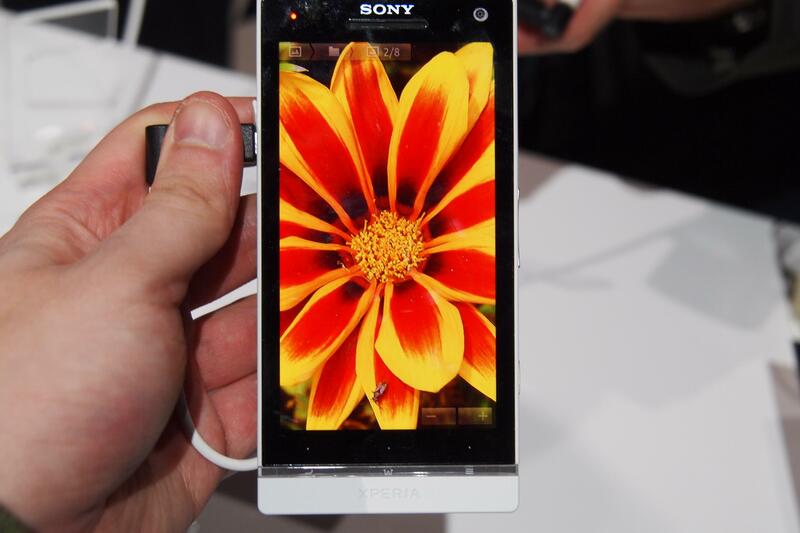 Sony claims it’s actually 50 percent more efficient than a standard screen, although the company’s develop blog implies that’s really only under specific use scenarios, like displaying a totally black and white image. 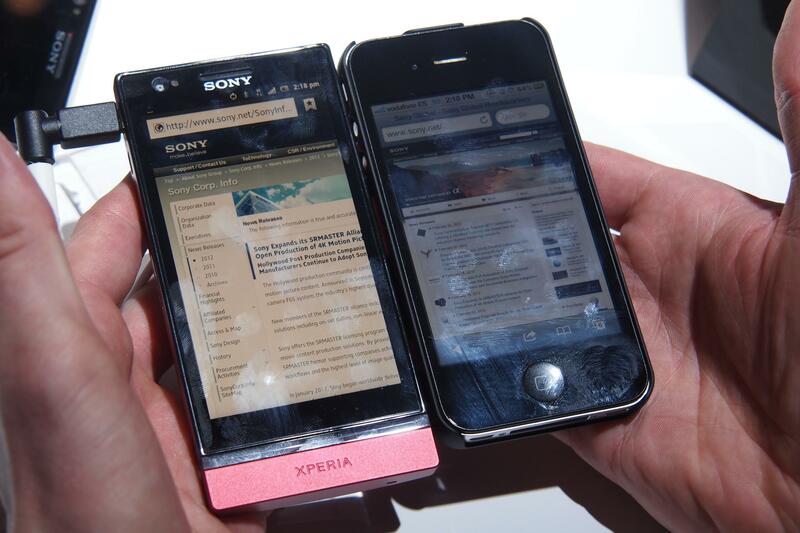 While we’re not sure why Sony left this technology of the Xperia P’s siblings (the Xperia U and Xperia S), we have to give the company credit for addressing an issue many companies have simply shrugged off: outdoor viewability. For smartphone users in sunny locales like Los Angeles, Florida and yes, Barcelona, the Xperia P might be one of the few devices out with a solution to a common problem.